NobleOak is a provider of direct income protection insurance, life insurance, TPD insurance, trauma insurance, and business expenses insurance. NobleOak won an Outstanding Value award for Direct Income Protection Insurance in Canstar’s 2019 Star Ratings. NobleOak was awarded a 5-Star Rating for its Premium Life Direct income protection product in each of the 80 consumer profiles that Canstar rates. According to Canstar Research, NobleOak’s premiums were consistently well below the market average, and it was a price leader across almost all profiles. NobleOak is the only insurer to have received an Outstanding Value Award for Direct Income Protection Insurance for four consecutive years – 2016, 2017, 2018 and now 2019. 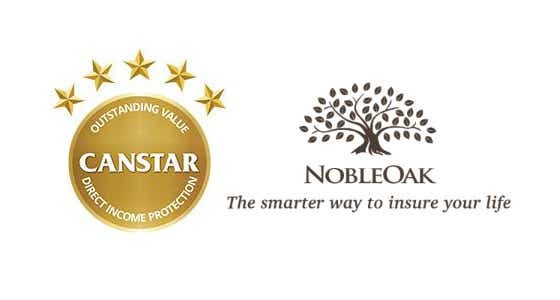 In 2016, 2017 and 2018 NobleOak was the only insurer to have won Canstar’s Outstanding Value Award for both Direct Income Protection and Direct Life Insurance. Benefit period to age 65. According to NobleOak, consumers who choose this benefit period when they sign up for their cover can potentially receive their benefit each month until they reach the age of 65 years old if they remain unable to work. 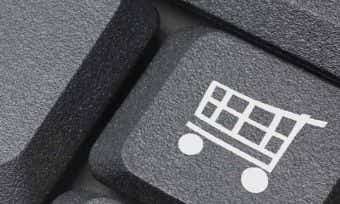 The benefit amount will increase each year to help protect against the effects of inflation on purchasing power. 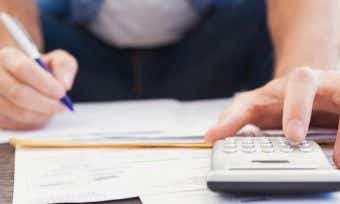 Maximum benefit of $25,000/month, meaning incomes right up to $400,000/year may be insured up to the maximum of 75%. Partial disability benefit. When the insured person is unable to work because of serious illness or injury, if they then return back to work but can’t perform all of their regular duties and their income drops, a partial disability benefit may be paid. Specified injury benefit (covering eight specified injuries) and a specified illness benefit (for 30 specified illnesses). If the person insured is injured or ill and can still work, if it is because of one of the illnesses or injuries specified they may receive a special payment (of between three and six months of their monthly sum insured). See the table below for a snapshot of the current products on offer from NobleOak, based on a 30-39 year old male non-smoker, in a white collar occupation. Before committing to any particular policy, check upfront with your provider and read the PDS to confirm whether it meets your needs. NobleOak was officially established as the Druids Friendly Society of NSW in 1877. But it began as early as 1861 when the NSW Ancient Order of Druids first offered insurance to its members. According to NobleOak, these early beginnings make it one of Australia’s oldest insurers. NobleOak is a specialist provider in Australia for life insurance, TPD, trauma insurance, income protection insurance, and business expenses insurance. It says it has won many awards for its life insurance products since entering the market. NobleOak says its vision is to protect Australians and their families by offering them affordable and accessible insurance. It provides fully-underwritten cover which means that a number of health and lifestyle questions are asked at application time. It says this means that applicants know exactly what they are covered for, something which is designed to help avoid surprises at claim time. According to NobleOak, it keeps costs low by avoiding large upfront commission payments to third parties and claims to pass savings back to its clients in the form of lower premiums. NobleOak advertises that it has a client satisfaction rating of 95% (Research conducted by Pureprofile in December 2018) and promises that calls to its call centre will be answered within three rings by a real person in the relevant time zone. NobleOak says it supports the Australian community by partnering with organisations such as the Pharmaceutical Society of Australia and the Independent Practitioner Network. Who offers what features for Direct IP?